One of the most important commercial hubs of Chennai, the Pondy bazaar lies in the southern part of the city. 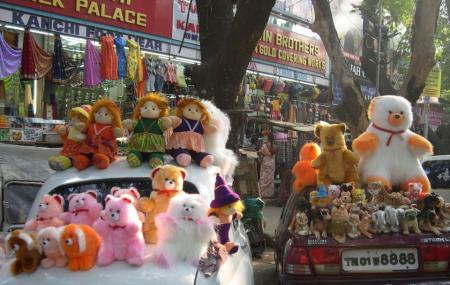 This Chennai attraction is a hotspot for all kinds of items, but fabrics especially are the highlight of this bazaar. You will find here a wide range of cloths at various prices. Practice your bargaining skills to get the best bet. Apart from fabrics, you will also find the regular, standard branded shops of various merchandise here. This is indeed one of the best places to shop in Chennai. Refrain from wasting a seller’s time. How popular is Pondy Bazaar? People normally also visit Ampa Skywalk while planning their trip to Pondy Bazaar.